Jennifer Lopez has collaborated with a slew of artists throughout her career — from Ja Rule to Pitbull to Fabolous. On her next project, she teamed up with an unlikely artist — Chris Brown. 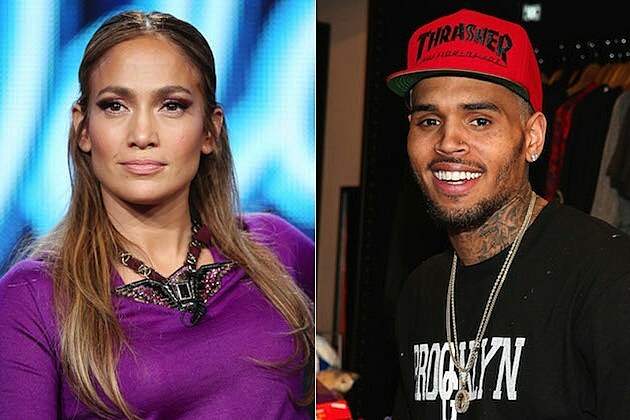 In a new interview with PopCrush, J.Lo says she enjoyed working with Breezy on her new album. “He came in and wrote a few songs for me on the album,” she tells PopCrush. “We had a great time working together. He’s a very talented boy.” Brown helped Lopez pen her hometown anthem ‘Same Girl‘ and other tracks for her tenth album, which is due out this summer. “I mean, he knew he was writing for me, but at the same time it was very organic to what he does,” she explains. “But when you hear the songs, I don’t think you would think, like, ‘Oh, he wrote ‘Same Girl.’ He wrote ‘Emotions.” There’s very different things that he did for me on the album.” Meanwhile, Lopez flipped the rap video cliche with her glossy video for ‘I Luh Ya Papi.’ The ‘I’m Real’ singer says it was fun to turn the tables and feature some eye candy for the ladies. “The director came up with the concept to kind of flip the rap video — to make me the rapper and, you know, just turn the tables in that way…instead of having girls in bathing suits, have guys in bathing suits,” she said. “Instead of having me be the soft girl in the video, be the rapper who’s in the mansion and the yacht. It was all meant to be in good fun, but you know, I knew people would get the joke.” Watch Jennifer Lopez’s ‘I Luh Ya Papi’ video below.